The Georgian president has said his fugitive predecessor insulted his country by renouncing his Georgian citizenship in order to become a governor in Ukraine. "I do not understand his disgraceful behavior," Georgy Margvelashvili said on Sunday at the Georgian Police Day celebration. "With this decision, Saakashvili insulted our country and the presidential institution. There are values that have to be more important than career, and among them, the citizenship of one's country." The president's words were echoed by Georgia's Defense Minister Tina Khidasheli, who said Saakashvili "showed everyone his so-called devotion to Georgia," adding "now everyone can see he doesn’t care about the citizenship of his own country." Mikhail Saakashvili received Ukrainian citizenship under Ukraine's President Petro Poroshenko's personal decree, before becoming the governor of Odessa region on Saturday. Under Georgian law, anyone who receives citizenship of another country automatically loses that of Georgia. The only way to have dual citizenship in Georgia is for a foreigner to apply to the country's president. Appointing Saakashvili to the post of governor, President Poroshenko said the former Georgian leader was "a friend of Ukraine." In fact, the two have known each other for about 25 years, since university days. Poroshenko praised Saakashvili's ability for "creative ideas" and "putting them into practice." Saakashvili has backed the current Kiev officials ever since they were among the rioters in Kiev, who eventually overthrew and ousted the previous administration in a coup. During the Maidan rallies and riots, Saakashvili was seen in Kiev supporting the crowds. In his former home, Saakashvili is wanted on a number of criminal charges, including embezzlement, abuse of power and crackdowns on political opposition. He left Georgia days before his presidential term expired in November 2013 and has been in self-imposed exile ever since. 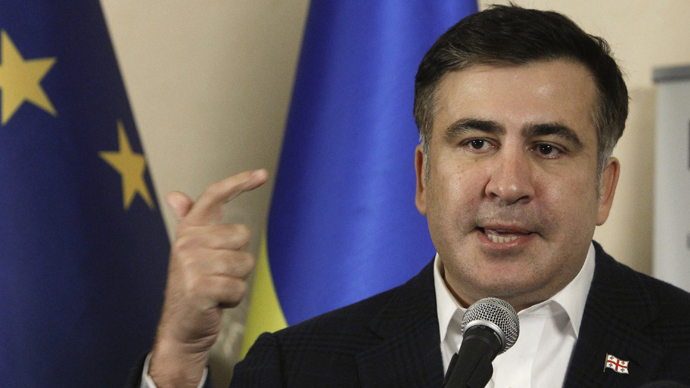 In February 2015, Georgian prosecutors issued an extradition request for Saakashvili, which Kiev denied.